As they enter their senior year, many Minnesota high school students feel the pressure – from their parents, teachers and guidance counselors — to either enroll in college or enlist in the Armed Forces. But for those students who don’t feel that either choice is the best choice for them, there is a third choice – a career as a skilled worker in Minnesota’s construction industry. 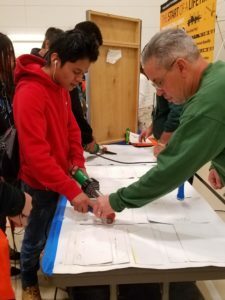 Construct Tomorrow, a nonprofit dedicated to bolstering the skilled trades in Minnesota, provides Minnesota high school students a hands-on learning experience with leaders from local trade unions to help them understand if a career in construction is right for them. Construct Tomorrow is one of several programs offered through the Construction Career Pathways, a state-wide effort supported by public and private sources, construction companies, trade unions, school districts, and the state of Minnesota, all focused on building awareness among students, parents and educators about careers in Minnesota’s construction industry. 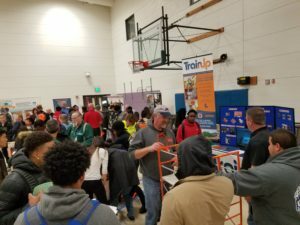 Throughout the coming year, Construct Tomorrow will host a series of hands-on events at Minnesota high schools, both in the Twin Cities and in outstate areas, such as the Iron Range or southern Minnesota. 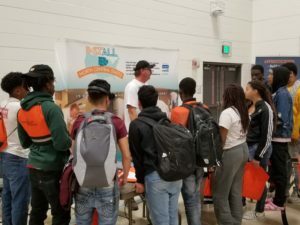 For example, in October, students from multiple high schools in St. Paul and the East Metro attended a Construct Tomorrow event at Washington Technology Magnet School, which will gave them the opportunity to talk with trade union representatives about careers in construction. Upon arrival, students receive a Construct Tomorrow rucksack with pamphlets about the trades as well as a bingo card, where each square represents a trade. Students then enter the space where all the trade unions’ booths are set-up, allowing students to speak directly to a union’s apprenticeship coordinator and try their hand at a skilled trade. For example, if a student visits the ironworkers’ booth, students practice strapping on a harness and walking along a beam. If they visit the pipefitters’ booth, students attach extensions to a pipe. Students also work with simulators, such as simulated welding machine. 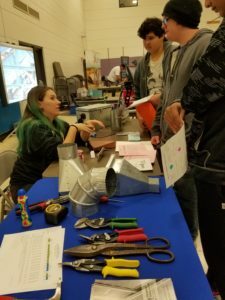 Founded six years ago, Construct Tomorrow has hosted dozens of events for Minnesota high school students, including students from underrepresented groups in construction such as women and people of color, who are in high demand to meet the growing need for skilled workers in the years to come. To learn more about Construct Tomorrow and careers in construction, visit ConstructionCareers.org. Construct Tomorrow is a 501(c) 3 nonprofit dedicated to strengthening communities through awareness of the career opportunities in the building and construction trades for all youth. They provide experiences for youth through hands-on events that develop awareness of the variety of opportunities available and elevate the understanding youth have of the value of the building and construction trade unions.